Total Conversion - What is it? 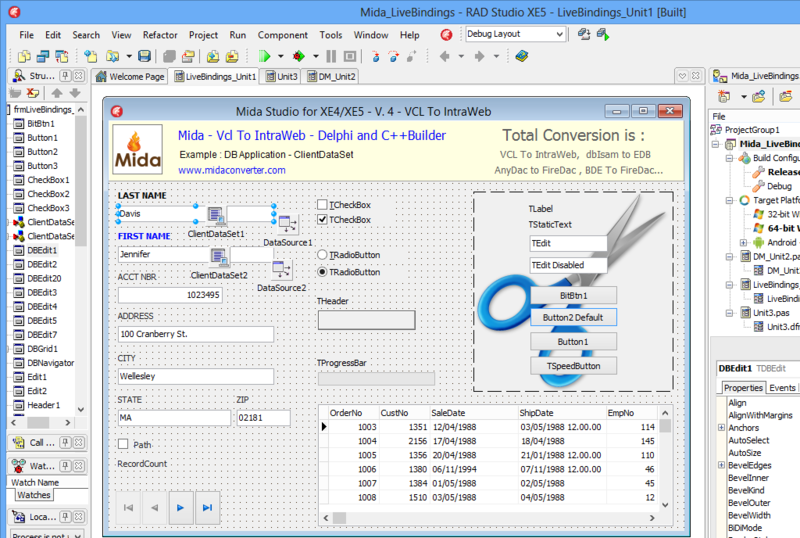 If you still do not know Total Conversion of Mida please read this link Let’s see in detail, one of the most popular conversions of Mida Studio: VCL to IntraWeb. 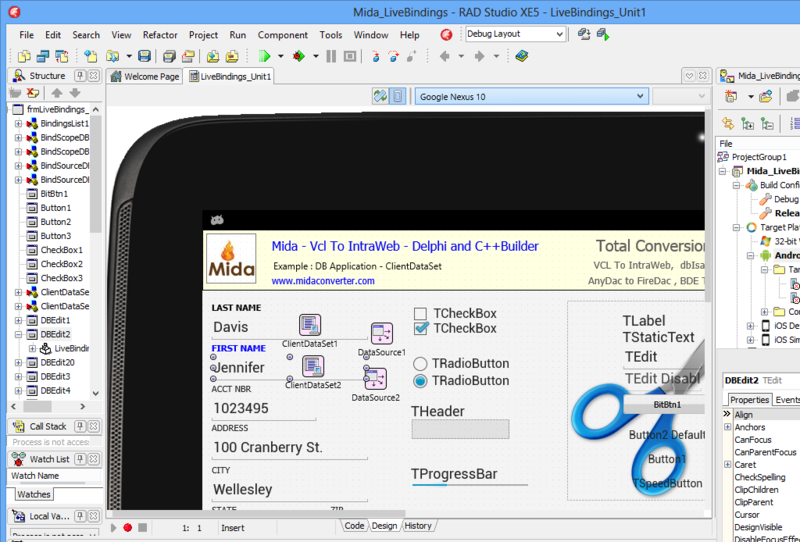 Mida Studio provides a table of conversion of components and properties from VCL to IntraWeb. 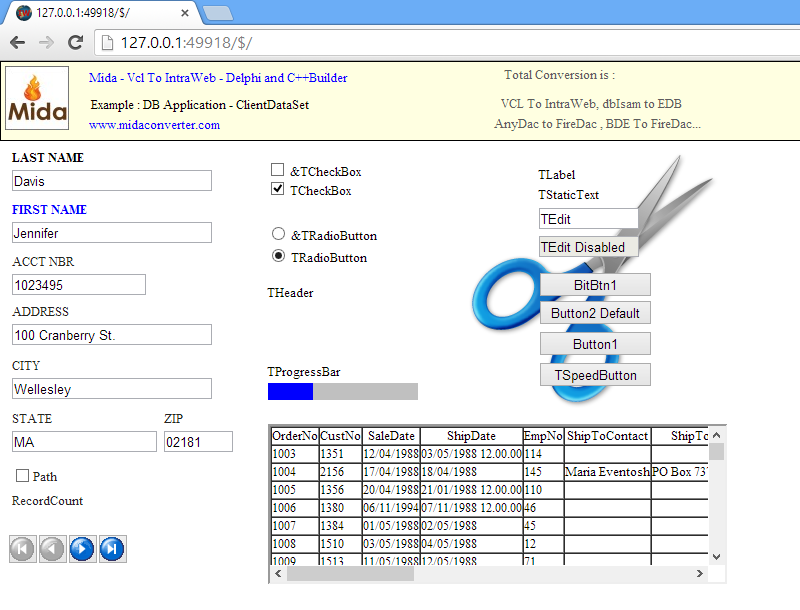 For example a TCheckBox is converted in a TIWCheckBox. 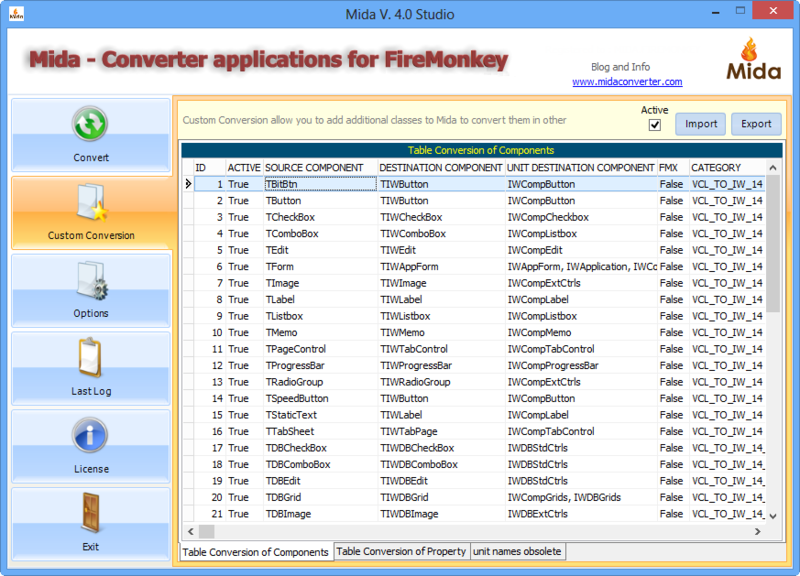 If there are properties with a similar use, but different, Mida updates these to be compatible with IW. 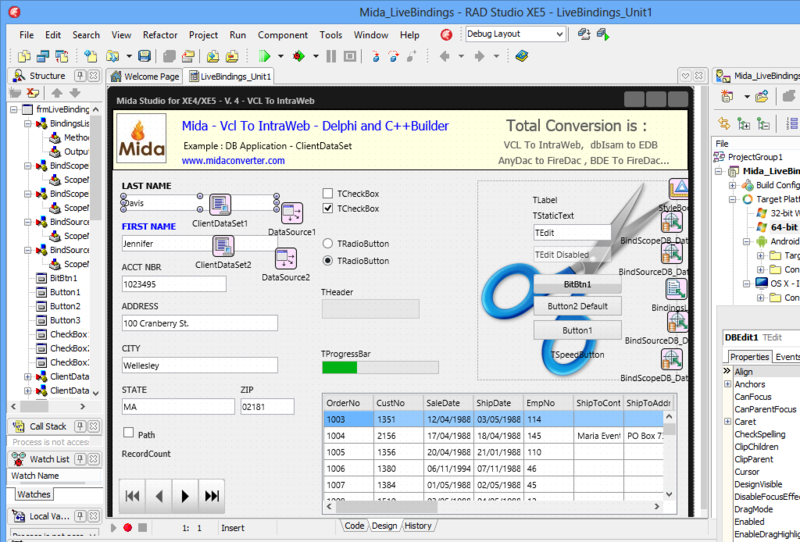 Mida automatically adds all units needed, and removed the Unit of the original component. Are also canceled (where possible) all the properties are no longer present. This rules are completely modifiable by the user, in case anything is missing or is not supported, or in case you want a different behavior. On the Options page of Mida just activate voice: Only Custom Conversion. one click and... IW Project ( Browser Web ) !! IW Project inside Google Chrome! For now the project IW ( .dpr and ServerController.pas ) must be created by user, must also be manually set the startup form. Future updates will automate these steps. IntraWeb VCL and have for example in the management of sessions db or in the management of the passage between a form and another, a different approach. 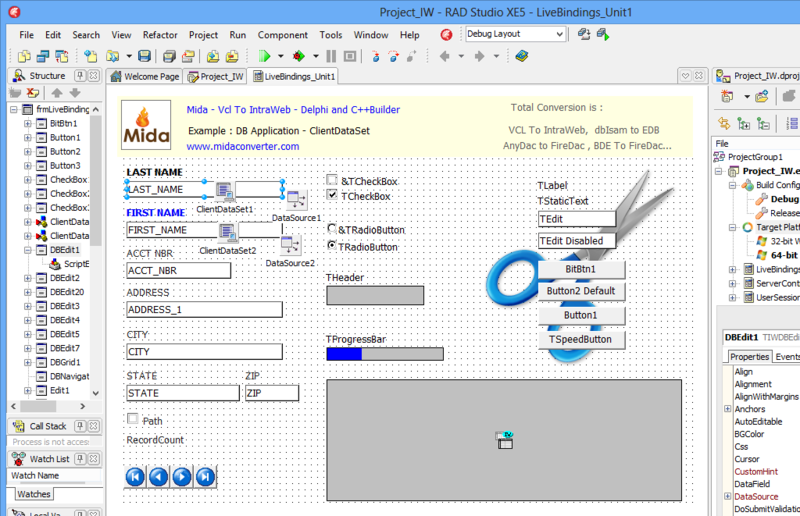 Mida greatly simplifies the work to be done to convert between the two frameworks, of course, a human control must be carried out later to complete the project conversion.